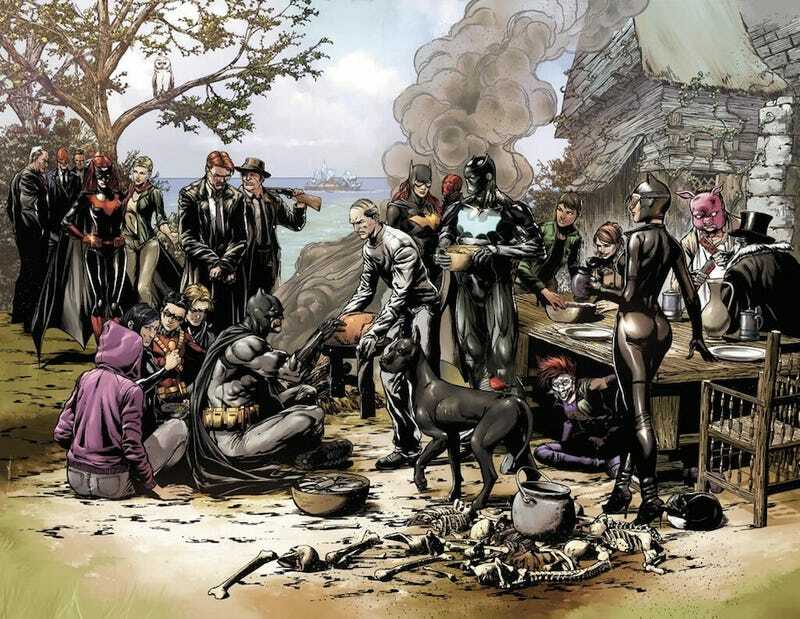 Batman Eternal artist Jason Fabok sends up Jean Leon Gerome Ferris' painting The First Thanksgiving 1621 for his Easter egg-laden image of Gotham's finest and fiercest settling down to a holiday meal. It also serves as a teaser for the upcoming comic book series. Scott Snyder tweeted the image above, teasing that it contains clues to what fans can expect in the Batman Eternal series. But even if you don't follow the comics, it's a fun (if grisly) image, packed with interesting details.